Visitors to this year’s National Fruit Show are set to be bedazzled by two new raspberry varieties – Malling Bella and Malling Charm. Tim also explained that both varieties, which have only just been named this year, will from next year (2018) be grown commercially in the UK for some of the country’s large retailers. They are the first varieties launched by the East Malling Rubus Breeding Consortium’s mature raspberry programme. Formed in 2015, the group’s aim is to create, develop and commercialise worldwide raspberries and blackberries both for the professional and the garden markets. 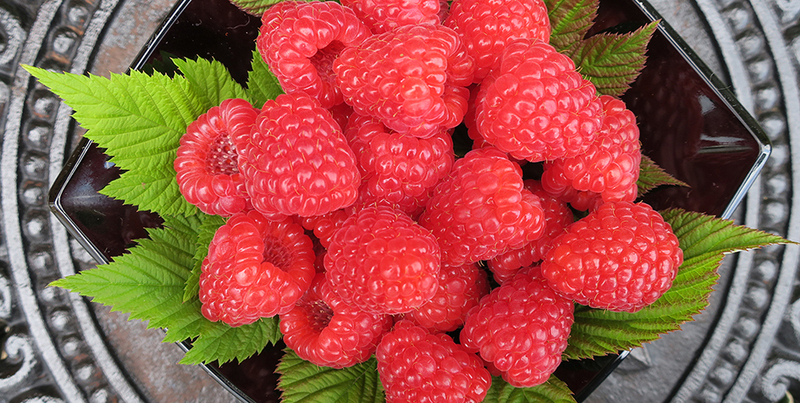 It builds on the pre-existing collaboration between NIAB EMR’s raspberry breeding programme and Lubera (a Swiss nursery working for the amateur markets) to produce red, purple and yellow raspberries of commercial and garden interest. The commercial side has since come to the fore with WB Chambers and Onubafruit joining in 2015 followed by Perfection Fresh in 2016. The consortium is still expanding and actively looking for new members in Central/Northern Europe, the Americas and Africa to fulfil its global ambitions. For further information, get in touch with Feli on felicidad.fernandez@emr.ac.uk.